Narcotics agent Tim Wilde is given a second chance at life after being shot and killed. 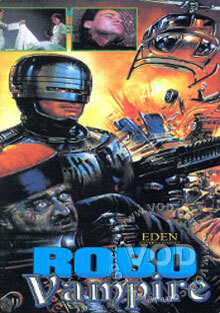 In a futuristic experiment, agent Wilde is returned to life as an Android Robot. He is sent on a very dangerous mission into the depths of the Golden Triangle to rescue Sophie a beautiful undercover agent who has been captured by the evil crime warlord Mr. Young and his inhuman creation, the Vampire Beast. In a climactic battle, Tom must use all his robotic powers to defeat the savage crime lord and his monstrous blood-sucking creation!